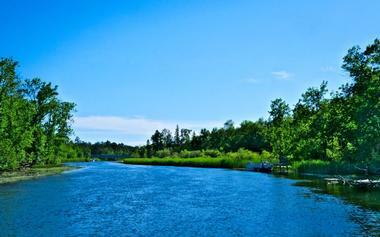 Bemidji, Minnesota is a charming town in northwestern Minnesota is celebrated for its natural beauty. Visitors will experience Bemidji’s legendary logging history, unique Scandinavian and Native American culture, and abundant outdoor recreational opportunities. From Headwaters Science Center to downtown Bemidji’s pubs, boutique shops, and eateries, there is plenty to do. 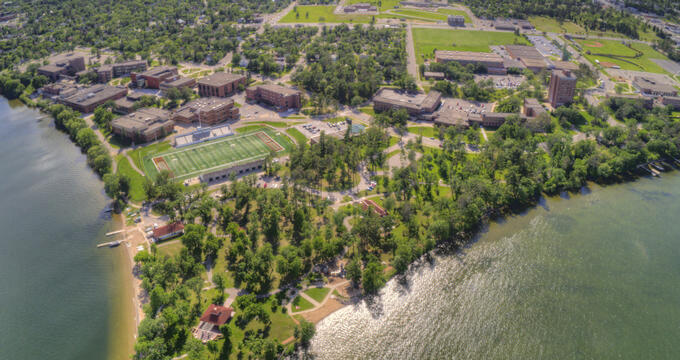 Lake Bemidji State Park features over 1,600 acres of beautiful pine forest, picturesque hiking trails, campground sites, and recreational facilities along the north end of Lake Bemidji, in Beltrami County, Minnesota. The park is ideal for year-round recreation, visitors will have easy access to outdoor activities that include biking, hiking, kayaking, boating, fishing, swimming, and volleyball. During the winter the area is perfect for snowmobiling, ice fishing, snowshoeing, and cross country skiing. The park is a great place for camping with its 95 drive-in sites, 43 of which are electric, four pull through, and four handicap accessible. It’s not uncommon to see herons, eagles, and loons around the lakeshore, or even a doe strolling through the woods with her fawn. Paul Bunyan and Babe the Blue Ox is a roadside attraction, listed on the National Register of Historic Places, and located in Bemidji, Minnesota. 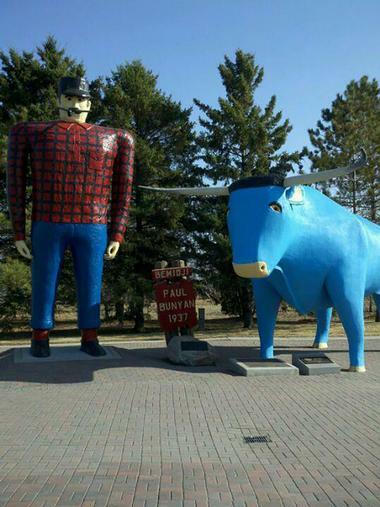 As the legend goes, Paul Bunyan was the greatest of lumberjacks to have swaggered through the thick, North American forests, and Bemidji has claimed him as their own (as have five other American towns). Paul stands approximately 18-feet tall with a width of five feet, while Babe is about 10-feet tall, and measures 23-feet long. To this day the pair of statues are historically recognized for being Minnesota’s first and greatest display of a roadside colossus, as the city continues to garner recognition for being a pioneer in Minnesota’s tourism industry. Since 1999 the Bemidji Sculpture Walk has had a rich history of promoting public works of art in Bemidji, Minnesota. The Walk features over 25 murals and sculptures on public display throughout the course of the year in the city’s downtown business area. 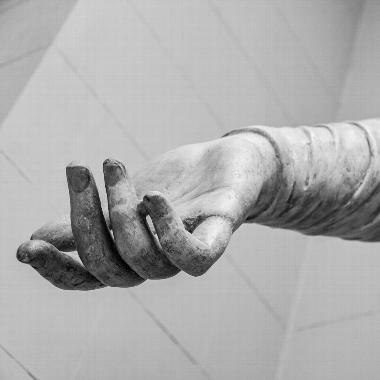 Encore, or returning pieces, typically spend about two to three years on display, with many of the pieces being made available for private purchase. The Walk includes several beautiful murals around town, a permanent collection, the Veterans Memorial, and new special works, like Liberty Park’s Shaynowishkung (Chief Bemidji) Statue. During the Walk visitors will see art pieces ranging from a dog sculpture to a harp sculpture to a world globe sculpture. 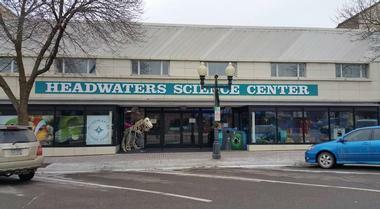 Headwaters Science Center offers hands-on technology and science programs, and exhibits in the lakeside city of Bemidji, Minnesota. Since opening its doors in July of 1993 with a small gift shop and handful of home-made exhibits, the science center now boasts 11 impressive Science Carnival exhibits from the Pacific Science Center. The live animal collection features turtles, an owl, and a snake, among other species for educational purposes and to further appreciation for living things. The center offers interactive programs that include Simple Circuits, a hands-on program introducing basic engineering principals to children; and Animal Menagerie, a demonstration that involves live animals so visitors can learn the proper care, feeding, and handling techniques for several species. The Paul Bunyan Playhouse is a professional, non-equity, summer stock company situated in the Chief Theater in downtown Bemidji, Minnesota. 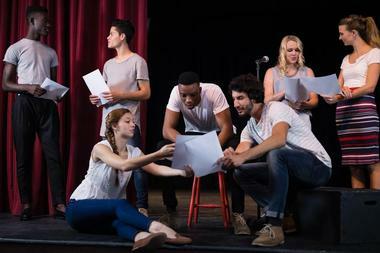 While Jim Williams is in charge of the artistic direction, the playhouse employs a wide variety of talented actors and actresses from the Twin Cities, Bemidji, and around the country. Getting its start in 1951, the playhouse has now been continuously operating for over 66 years, and is a tradition worth treasuring for both residents and tourists alike. Visitors will be treated to incredible live performances that include The Complete History of America Abridged, Steel Magnolias, Clue the Musical, and Hairspray. The Sanford Center is a multi-purpose convention center and arena with a capacity of 4,700 seated in Bemidji, Minnesota. First opening its doors in in October of 2010, the center serves as the home to both the men and women’s Bemidji State Beavers ice hockey teams. 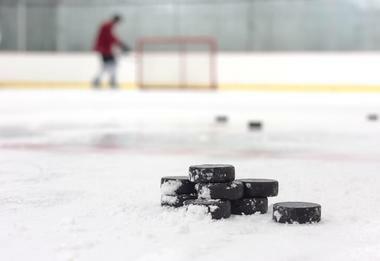 When the center isn’t hosting collegiate hockey games, visitors can catch a concert, or even compete in the Gigazone Gaming Championship. Part of the Sanford Center, the George W. Nielson Convention Center is equipped with a beautiful ballroom that is perfect for weddings, receptions, dances, banquets, and celebrations. The ballroom has a capacity of 1,000 people and can be set up to provide a romantic, sophisticated, or festive ambiance depending on the occasion. Buena Vista Ski Area is a ski resort that offers a plethora of outdoor recreation during both the winter and summer months in Bemidji, Minnesota. When snow isn’t clinging to the ground, visitors can enjoy picturesque, horse-drawn, covered wagon rides along the ridge known as the “Top of the World.” The narrated tours wind through Red Lake and Leech Lake trails, on similar routes traveled by early explorers, pioneers, and Native Americans. 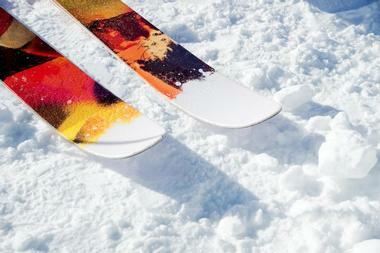 During the winter months, Buena Vista is primed for snowboarding, skiing, and tubing. The resort offers more than just runs and lifts, the slopes also feature a Terrain Park, Tubing Park, and a Ski School. Lake Bemidji is a cornucopia of rejuvenating sights, soothing sounds, and invigorating scents, making it one of Minnesota’s truest natural gems. An excellent destination any time of year, the lake provides the ideal location for ice fishing, snowmobiling, snowshoeing, and cross country skiing during the winter months. Spring announces itself with vibrant blooms, especially at the area’s tamarack bog where orchids, dragon’s mouth, and lady’s slippers greet the cheerful hikers. Summer is the season that knows no bounds, this time of year the lake will be packed with people boating, tubing, water skiing, wakeboarding, jet skiing, fishing, and swimming. 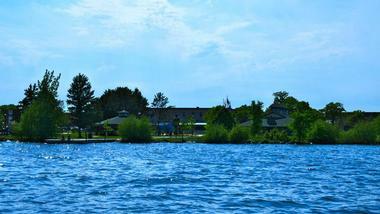 On the north end of the lake is Lake Bemidji State Park, the perfect location for biking, hiking, and camping. The state’s largest wildlife park and petting zoo, Paul Bunyan’s Animal Land is situated along U.S. Highway 2, in the lakeside community of Bemidji, Minnesota. The zoo is home to almost 100 animal species that represent every continent on the planet. Some of the animals featured include exotic birds, reptiles, rabbits, fox, skunk, coatimundi, cavies, coyotes, jackals, wolves, bobcats, three deer species, raccoons, kangaroos, lemurs, camels, tigers, and lions to name a few. Animal Land offers the perfect family-friendly activity in Bemidji. 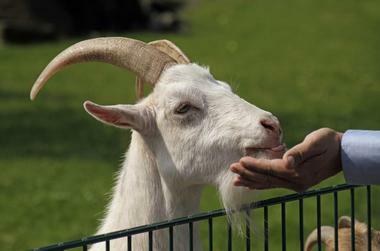 Here, children can feed and pet deer while learning all about the beautiful, gentle creatures. The zoo features a gift shop, indoor learning center, playground, and picnic areas. Beltrami County Historical Center is a history museum situated between Lake Bemidji and Lake Irving in Bemidji, Minnesota. 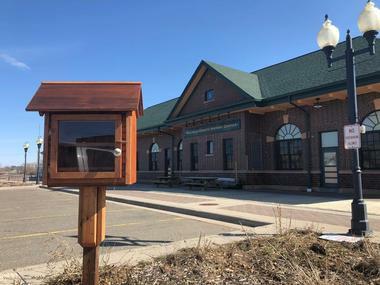 The museum has had several different locations since its inception in 1952 before finally settling in the restored James J. Hill railroad depot in 2001. Visitors will be able to view the county’s history through a variety of collections, public archives, and interpretive exhibits. The museum also provides programs designed to invite dialogue, educate, and inspire self-reflection. There are several exhibits for visitors to explore that include Trails Through Time, Revisiting Beltrami County, Baskets & Beads: Weaving Traditions, The Railroad, and When Beltrami Went to War : A W.W.I. Centennial Exhibit. Mississippi Headwaters State Forest is a Minnesota state forest situated approximately two miles west of the lakeside city of Bemidji. 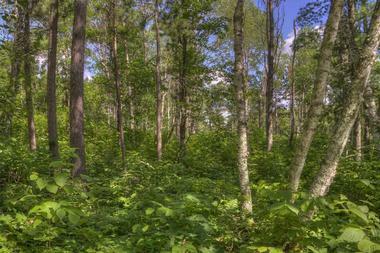 The forest is made up of 45,290 picturesque acres of land sprawling across Clearwater, Hubbard, and Beltrami Counties. The forest features flat outwash plains and rolling hills, Red Pine, Eastern White Pine, aspen, birch, maples, oaks; Northern White Cedar, Tamarack, and Black Spruce. The forest is an outdoor enthusiasts’ dream come true with its 95 ponds and lakes, winding Mississippi River, and dispersed camping sites. The forest contains a number of trails ideal for mountain biking, hiking, snowmobiling, and cross country skiing. Other popular outdoor recreational activities include swimming, kayaking, canoeing, and boating. 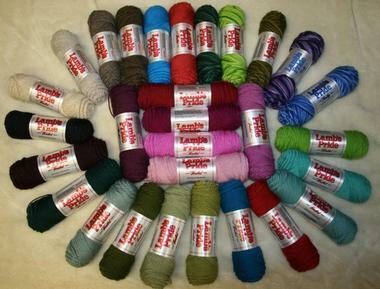 Bemidji Woolen Hills is a clothing retail store that’s provided high-quality wool apparel and accessories, as well as footwear, since 1920 in Bemidji, Minnesota. The store offers many fine woolen sweaters, gloves, hats, and blankets that have all been locally made in the city of Bemidji. Aside from the local merchandise, the store provides a bevy of other products from trusted, world-class companies. Some of the local favorites include the North Shore Double Back Double Front Jacket, Heavy Weight Hunter Shirt, Eco Ragg Wool Cuff Cap, and the Ragg Wool Glove Deer Palm, Pile Lined. Visitors could pick up the Voyageurs Jac Coat as a nice Christmas gift for someone special. Visitors will find the Freedom Defenders Veterans Memorial situated near Lake Irving, Lake Bemidji, and the Mississippi River in Bemidji, Minnesota. 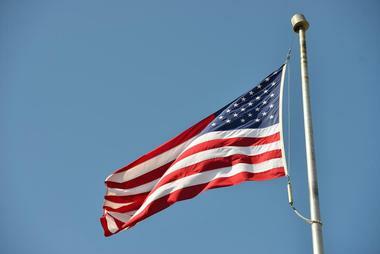 The memorial is a symbol of the honor, unity, and cooperation the United States armed forces has embodied to defend the freedoms and liberties the country and its people so dearly treasure. The memorial features a variety of elements designed for honoring the women and men of the military including the Marine “Chuck” Lindberg Statue, Nine Flags, Stone Pillars, Walk of Honor, and Service Dogs. This memorial provides the perfect opportunity to discover, appreciate, and honor what the military has done for the United States. Bemidji Speedway is a dirt racetrack measuring a quarter mile in length, and situated a couple of miles east of downtown Bemidji, Minnesota. 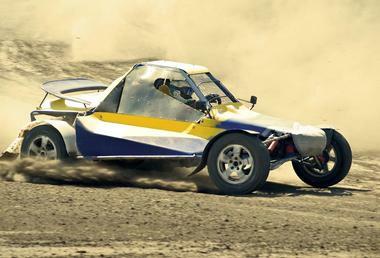 The racing season at Bemidji Speedway typically kicks off Memorial Weekend (weather permitting), bringing in droves of excited race fans from all over Minnesota and beyond. The classes of cars fans will usually see here include Wissota Modified, Wissota Midwest Modified, Wissota Super Stock, Wissota Mod 4, Wissota Pure Stock, and Mini Stock. There are several beautiful lakeside campgrounds available for use in the area, the track offers a site, although there are no hookups for electrical or sewer, so a generator would be needed. Bar 209 is a small, brick-walled pub serving classic bar food with creative twists in Bemidji, Minnesota. The bar has the ideal location in Bemidji, situated just steps from the Mississippi River, Lake Bemidji, and Lake Irving. Being surrounded by all of these Minnesota attractions means the bar stays pretty busy, and also makes it easy for the area’s visitors to refuel. The bar offers a variety of local, Minnesota craft beers on tap that include Bemidji Brewing’s Vertical Pale Ale and Summer IPA, and Surly’s Rising North Pale Ale. A menu favorite is the Juicy Lucy Burger– a ground beef patty stuffed with American cheese and cooked to perfection, served with a choice of side. 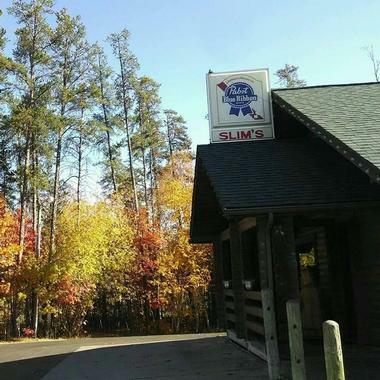 Getting its start in 1989, Slim’s Bar and Grill quickly became a staple in the lakeside community of Bemidji, Minnesota. This lodge pole restaurant and bar is situated just steps from the shimmering Lake Bemidji; after dinner visitors can walk down to the lake and enjoy a beautiful sunset. The bar and grill proudly uses locally sourced products whenever possible, including fresh buns from Raphael’s Bakery, Beer’s BBQ Sauce, and ground beef from Sittsworth’s Meats. 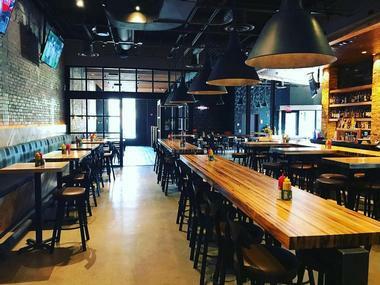 The interior features rustic design, hunting décor, some booths, a pool table, dart board, and flat-screen TVs. A popular menu choice is the Bleu Cheese Bacon Burger – a 7-ounce ground beef patty cooked to perfection, served with kosher pickles and chips. McKenzie Place is a charming gift shop with an eclectic mix of items for sale in Bemidji, Minnesota. The exterior of the building features cobblestone walls, lodge pole pine over the entrance, large windows in front, and forest-green roof shingles. The interior has dark-green carpet, scattered flowers and plants, and light-colored-wood display stands. The store offers 11,000 square feet of fun and unique products ranging from food and home décor to greeting cards and souvenirs. Visitors will also find a section of books, various toys and gifts, rugs, candles, and a garden area. 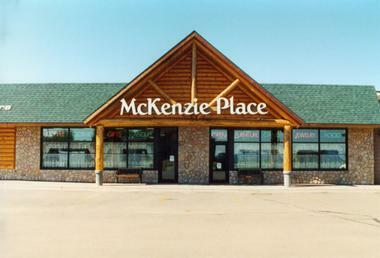 McKenzie Place is a must visit when in Bemidji, as the store has something in it for everyone.